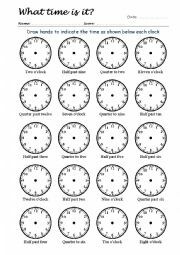 Learning time by drawing the hands on clock face (given time). 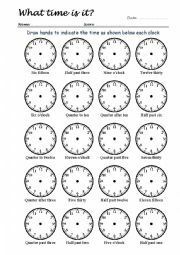 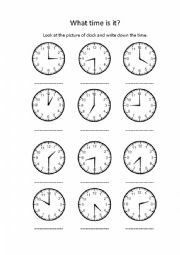 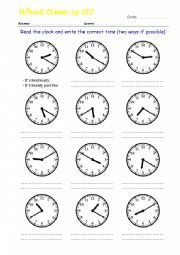 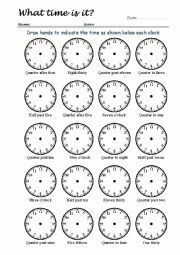 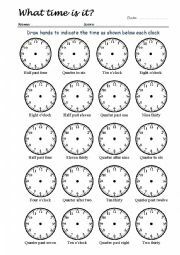 Learning time by reading the clock and write the correct time. 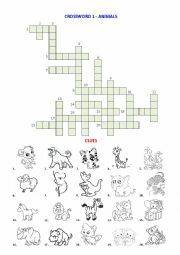 Learning vocabulary of animals by solve this crossword.